HelloToby is a services marketplace that connects trusted local service providers with people who need them. HelloToby want to transform the way people accomplish any project by offering them the fastest and easiest way to hire qualified service providers, anytime and anywhere. Whether it’s helping you to find a personal trainer, a wedding photographer, or a baby sitter; HelloToby is here to help, every step of the way. Through the process, HelloToby provide a sustainable livelihood for every skilled professional of Hong Kong. 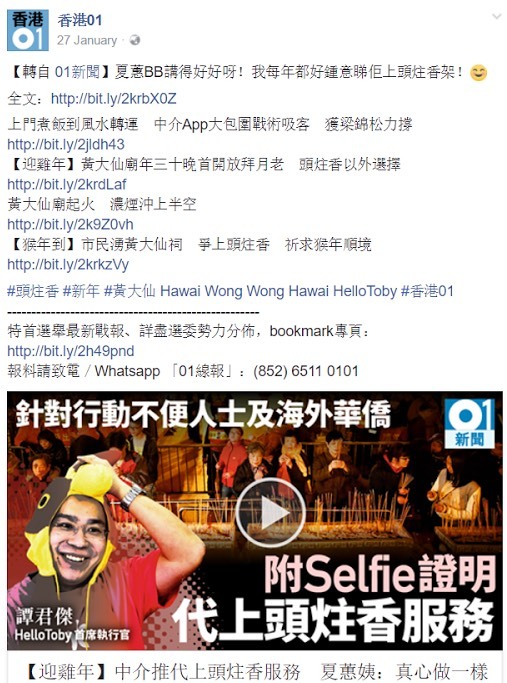 HelloToby had been well covered in different media organizations few months before their launch. 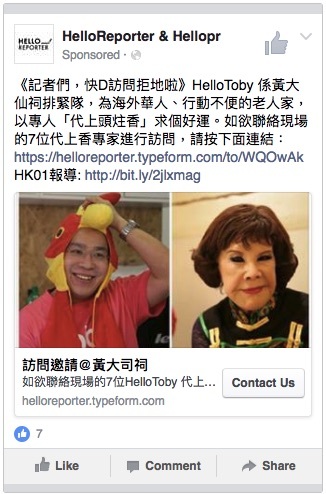 Pitching the story to reporters became more difficult for us as the business model of HelloToby had already been disclosed by media. A new angle and creative story were the key to catch the reporters eyeballs. HelloToby positioned themselves as the ultimate gateway for all sort of services that you can imagine. So we needed to leverage something important among that time and finally, we choose Chinese New Year as our hilt. 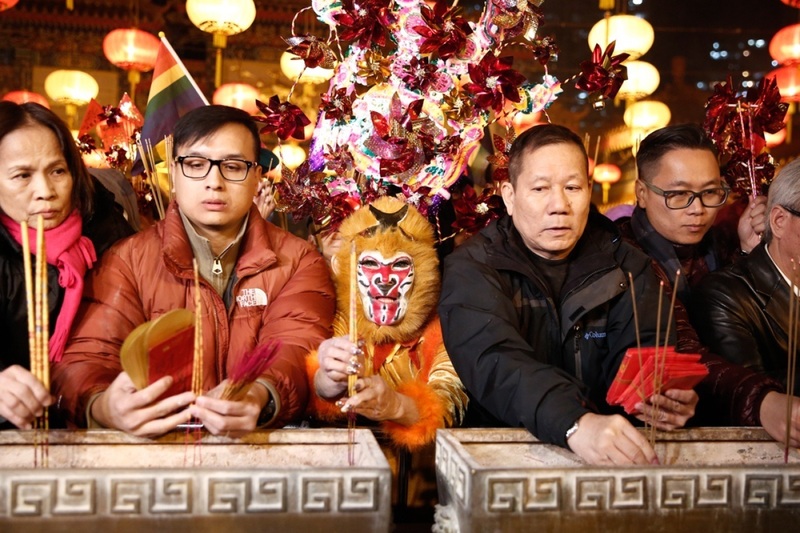 The incense offering ceremony held in Wong Tai Sin Temple always hit the headline on the Chinese New Year Eve. HelloReporter identified this opportunity and crafted the Offer-The-First-Incense-For-You Campaign (代上頭炷香) to secure their media exposure. 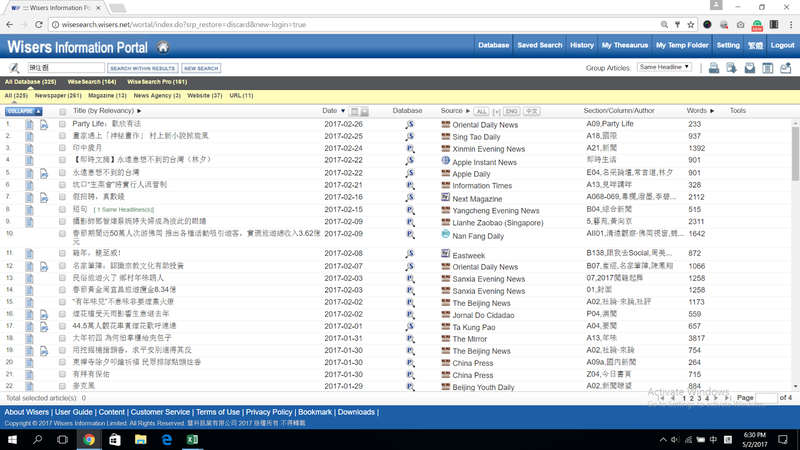 The theme, First-Incense and Wong Tai Sin, was identified by analyzing the past news reported during CNY in previous years. ‍Linked up interview for the founder and reporters to investigate the service ideology. HelloReporter’s creative strategy generated 14 media coverages before the ceremony even started and because of the eye catching costumes, on-site and digital marketing tactics, nearly all onsite media had done an interview with us and ultimately we got more than $700,000 advertising value from this event. 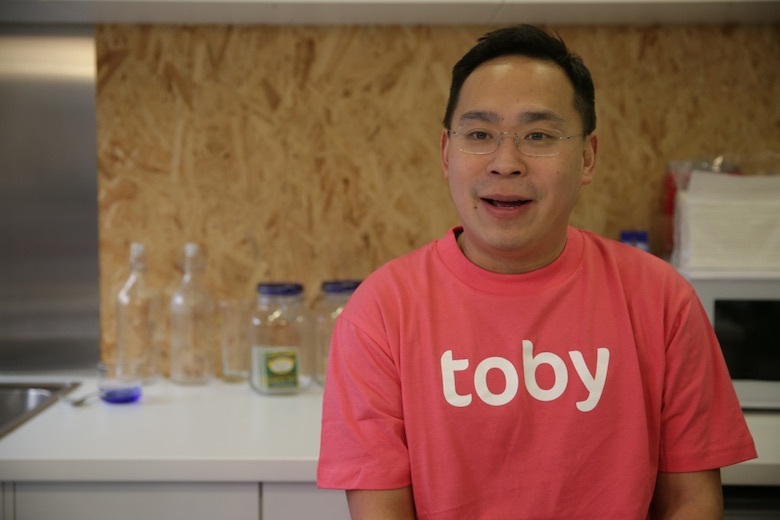 HelloToby were well recognised for their one-stop all-service marketplace. The momentum carried on and journalists actively reached HelloToby for interesting service offering in later festivals. Next Magazine featured HelloToby for comprehensive interview weeks later. Wei! is a simplified mobile app for subscribing various kinds of news/messages. It offers you the earliest and quickest way to assess info from various apps as well as saves your device’s storage.